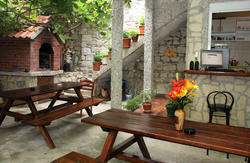 Young and Cool English speaking couple will be happy to welcome you and make your stay as pleasant as possible! 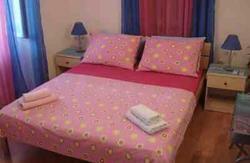 Manuela hostel is located in the heart of the old town, a 5 .minute walk from the Diocletian palace. There are nearby connections to the bus, train and ferry terminal (10 minute walk) and the airport shuttle bus (5 minute walk). 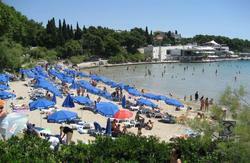 I can offer you everything to ensure you a comfortable stay in Split. Upon arrival I will welcome you and provide a map. I can also give you further information about the city and its surroundings. This includes transport information (cheapest and fastest ferries, buses, trains and flights), local attractions, nightlife (famous bars, clubs and discos), along with the best places to eat. If you feel like staying in, there is a big common area and rooftop terrace where you can exchange stories and meet fellow travelers. I also offer a 24 hour shared kitchen facility with a fridge, stove top/hot plate and oven. There is speedy FREE internet and WiFi throughout the hostel. I also provide a Laundry service that includes washing, drying and folding for 50 kn (7 Euros). This is not a fancy hostel, but is definitely cozy and it will hopefully soon feel like a second home! I always do my best to make my guests feel welcome. I am local to the area and I speak English, German, Albanian and Croatian! P.S. Please white the exact time of arrival or mail me about it,so WE (me or my husband) can be there when U come, becouse we dont live in the hostel, but across the street! thanks! SMS me at least if its cheaper! This year we have increased our capacity with few fully equipped apartments and rooms just few meters from our main Hostel building. 1. Head along the coast ( keeping the coater to your left) staying on Obala Kneza Domagoja. 2. Follow this completely. You will need to cross the road at the 'Blue line Feries' Kiosk to stay on it. 3.Keep going straight until you get to a fountain on your left and a large rectangular square ( Trg Republike) on your right. 5. At a store called ' Anita', turn left onto SV. Kria. 6. Turn right onto Radmilovića. It will be your second street on your right. Ring the doorbell or phone/sms me.